The NYC Tri-State Regional Chapter (“NYCTS”) hosted its inaugural event in February 2018: Networking Breakfast & Summary of Tax Reform. The event was well attended by Cornell real estate alumni that span the age spectrum and represent multiple aspects of the industry – private equity, REITs, real estate lawyers, investment consultants, placement agents and development professionals, to name a few. These alumni enjoyed connecting with one another over coffee and breakfast before hearing a dynamic and informative presentation by Kirkland & Ellis Tax Partner Stephen Butler. Stephen reviewed the key takeaways from the recent tax reform and effects on the real estate industry. The audience asked questions about expected implications on fund structuring, capital flows and investment decisions. The group dispersed around 9:30am EST, with an expanded network of Cornell real estate alumni and better knowledge of tax reform. 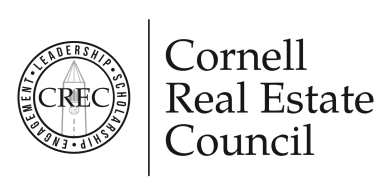 To attend a Cornell Real Estate Council event near you, click here.